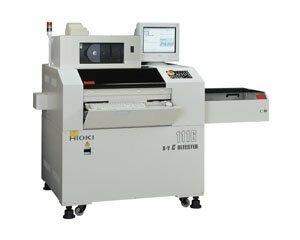 The 1116 Series are high-speed substrate testers that use capacitance testing to greatly reduce the number of testing steps and time required compared to the continuity testing method. They support ordinary bare boards to high-density BGA, CSP, or MCM packages, as well as flexible boards. • Super-high-speed testing at up to 100 steps/sec.